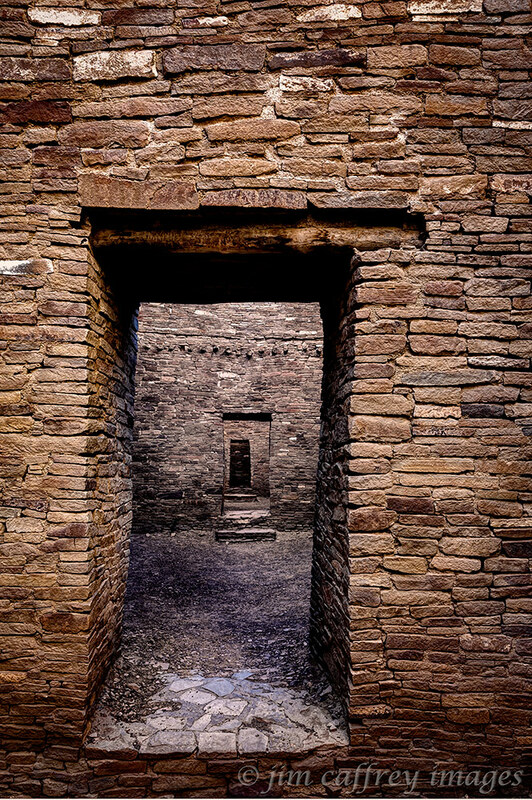 The doorways in the pueblo structures are probably the most photographed details of all the architectural features that can be found in Chaco Canyon. 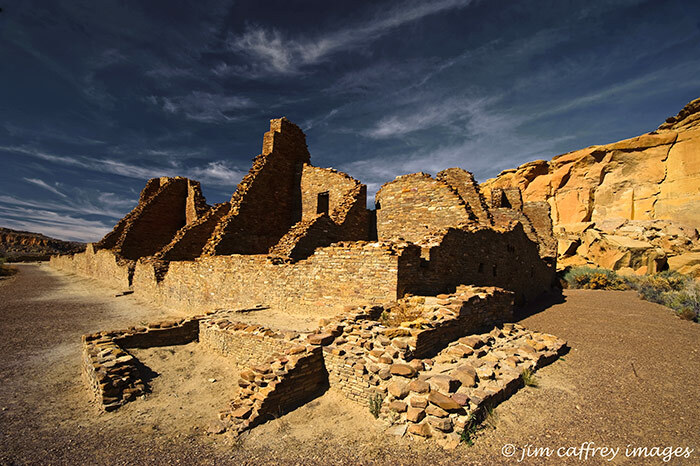 The first image was made in the rooms in the eastern wing of Pueblo Bonito, but I shot from the opposite end of the passages from where most people do. 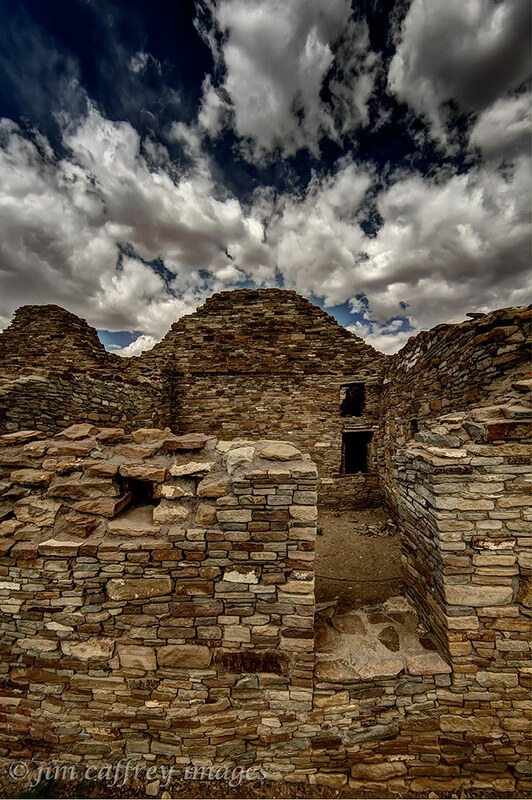 I like the vigas above the middle door that are visible from this perspective. 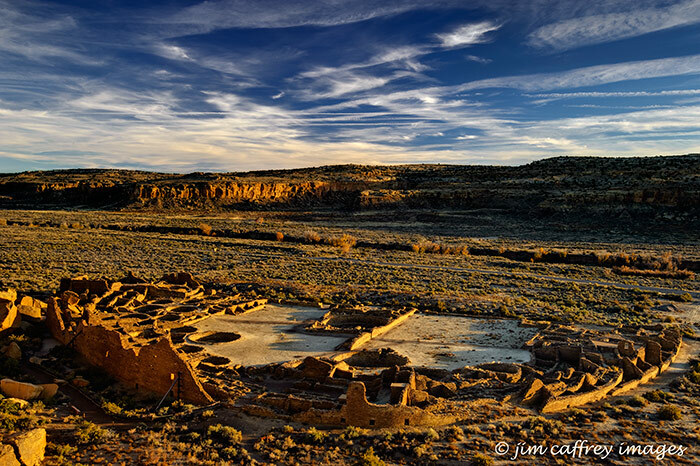 The next two images were made at Chetro Ketl which is the second largest pueblo in Chaco Canyon. 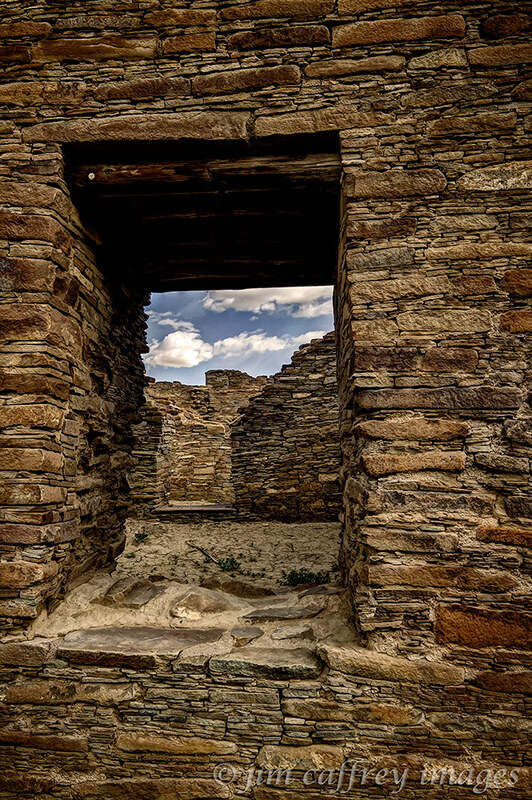 The first is a view through a window on the north side of the long greathouse wall looking at what was once an interior doorway. Beyond that is another wall and then the plaza. 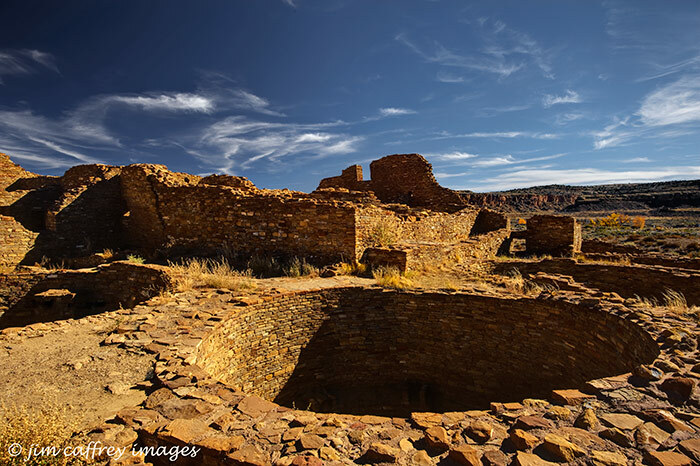 The second image is looking into the west wing of the pueblo. An exterior door and two interior doors are visible. 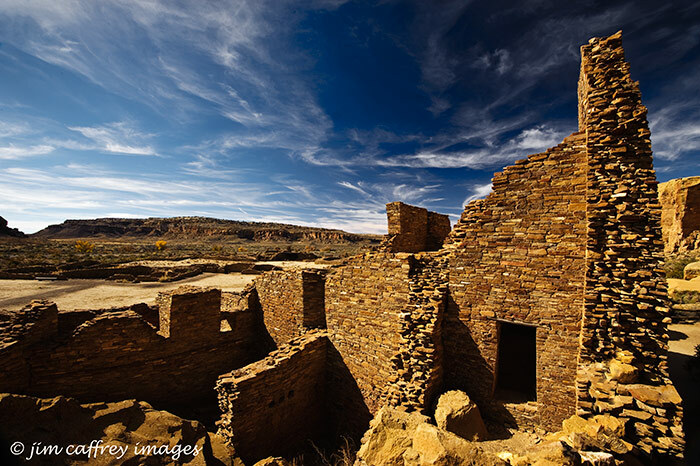 One of the amazing things about these structures is that they were planned from the start; they were built with expansion in mind, so the bearing walls were made strong enough to support the upper stories which, in some cases weren’t built until a hundred years later. 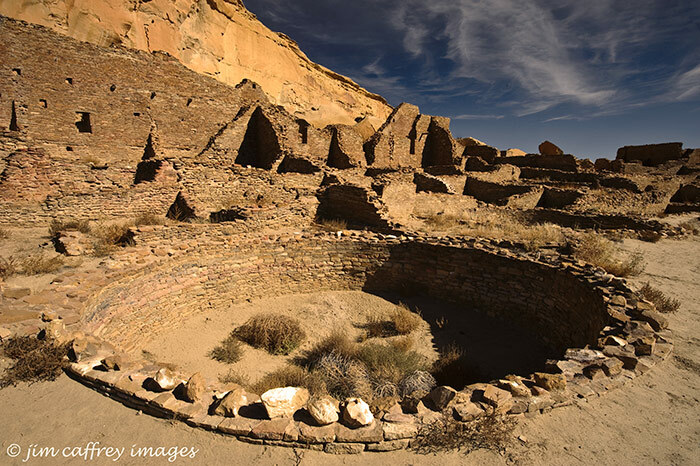 The last image is of a keyhole doorway which is also located in the east wing of Pueblo Bonito. I’ve researched this and have yet to find an explanation. 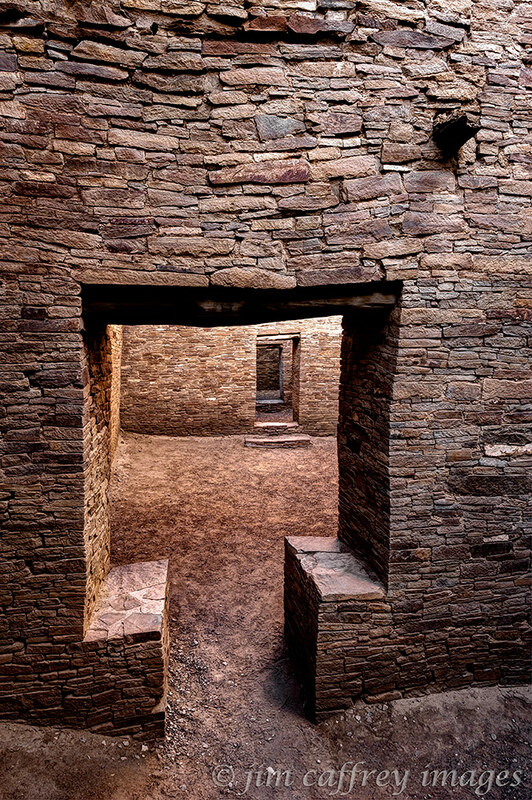 If I had to guess, I would say that this may have been a window that was modified to connect two rooms after an addition, or perhaps it was built that way for some unknown religious or social purpose.